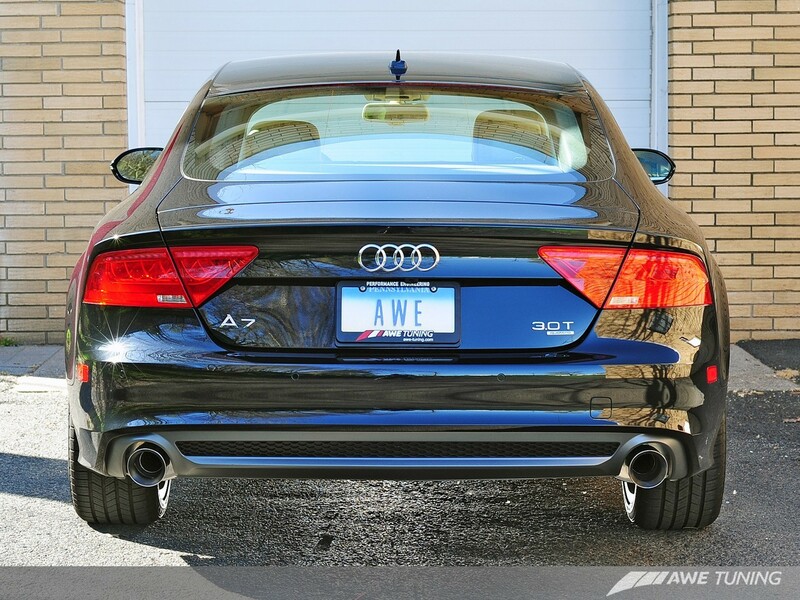 The finest A7 performance exhaust starts here with AWE Tuning exhaust systems! 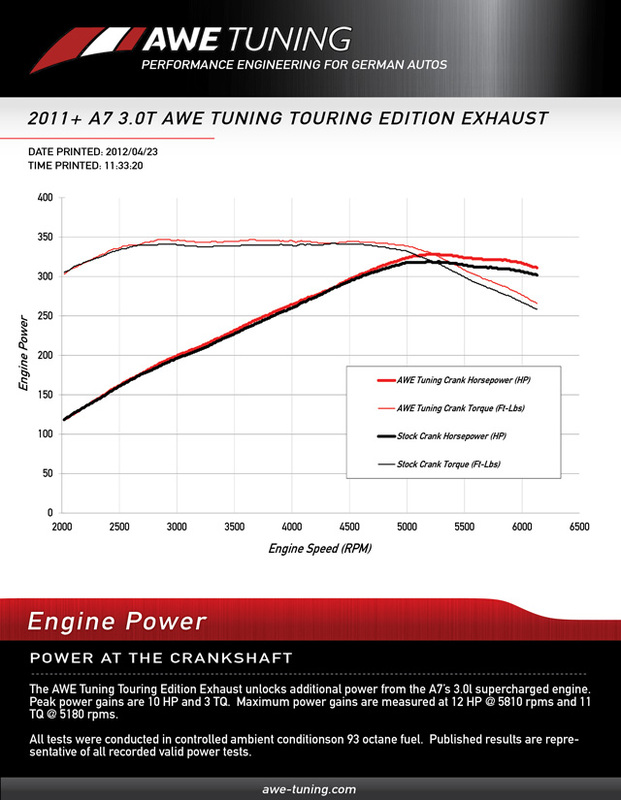 Featuring AWE Tuning 180 Technology™ Direct Bolt on Max gains of 12hp and 11 ft-lb tq. 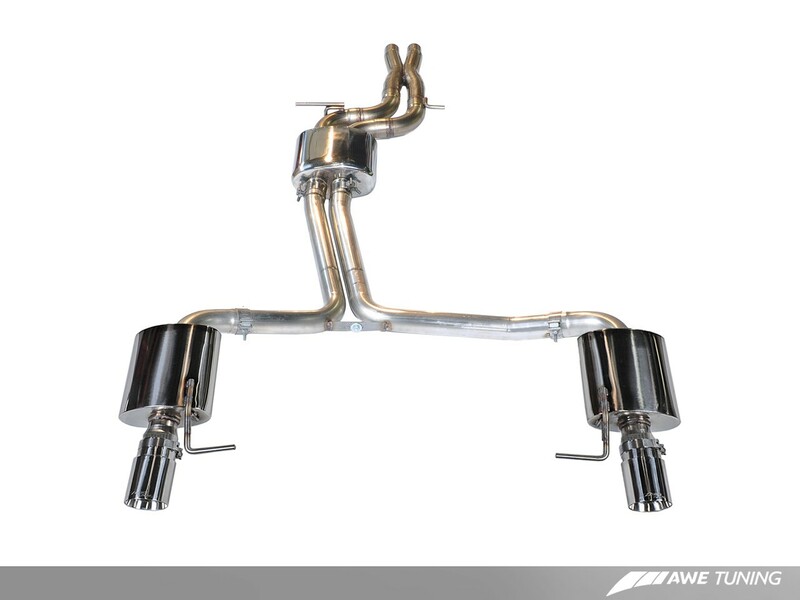 AWE Tuning builds and tests some of the most sophisticated exhaust systems in the world. They listen to their audience and have some of the worlds best designers, so you know you are getting the highest quality available. So whether you’re looking for the grabbing roar of our Track Edition or the more sophisticated tone of our Touring Edition, this family of Exhausts affords a solution for every discerning S5 owner. The Magic behind this handcrafted exhaust is the combination of hundreds of hours. This would ultimately replace the stock units.This Exhaust system has proven gains of +12hp and 11tq at the crank on stock software. It is crafted from mandrel bent 2.5" T304 Stainless Steel. With features of Dual and Quad Tip configurations you can choose the right system for you. Be worry free with this exhaust system as it is street legal. features a No CEL Guarantee, and carries a Lifetime Exhaust Warranty. This Touring system also guarantees no drone through the rpm range and incorporates a smooth velvety tone from 750-2500 rpms and anything above just sounds like a pure European exotic. AWE Tuning really takes the sound of the exhaust seriously. As the exhaust gases exit the 3.0T engine in the A7, they pass through located ports and into reflection chambers. The specific timing of when the reflected sound waves re-join the main exhaust flow creates a one hundred and eighty degree out of phase sound wave that cancels out problematic frequencies. The AWE Tuning A7 Touring Edition exhaust system is capped off with Chrome Silver or Black Diamond 4 inch slash cut tips, featuring the AWE Tuning logo in both Dual and Quad tip configuration.